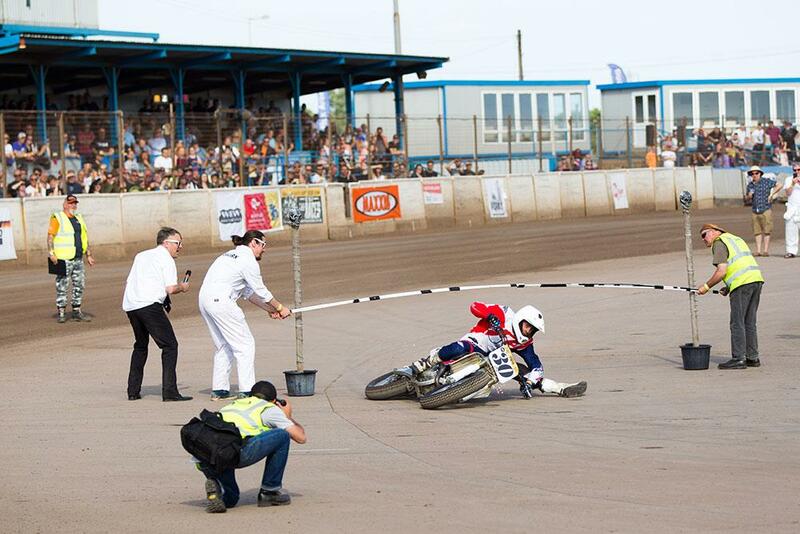 This weekend sees the return of the frankly bonkers Dirt Quake at Kings Lynn. 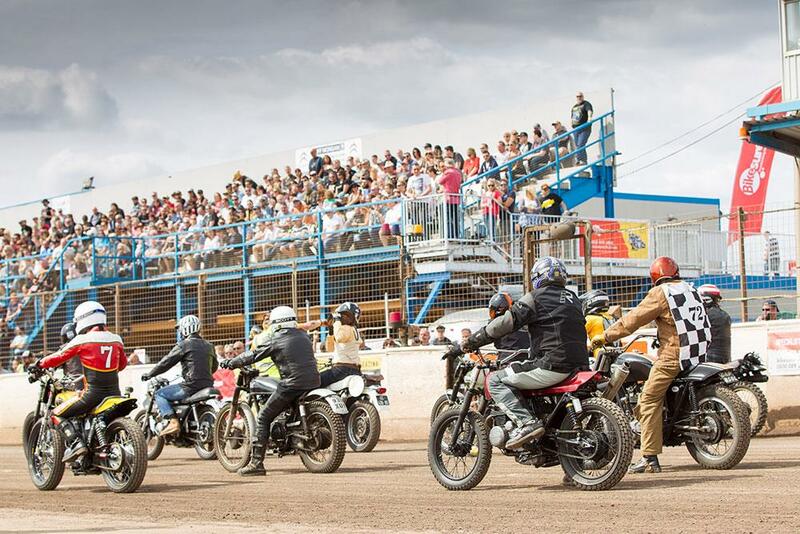 Now in its fifth instalment, the event has been growing year on year to become a regular cult-classic feature on the biking calendar. 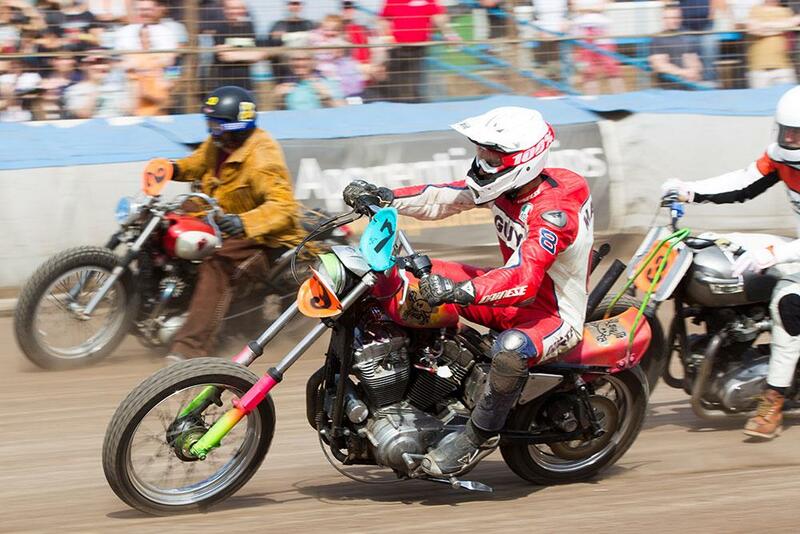 Dirt Quake sees riders line up to do battle on the Adrian Flux Arena's dirt oval in a number of absolutely absurd classes, from inappropriate road bikes to Harleys - all the bikes need to compete is a valid MoT. It offers a unique perspective and laughs throughout. 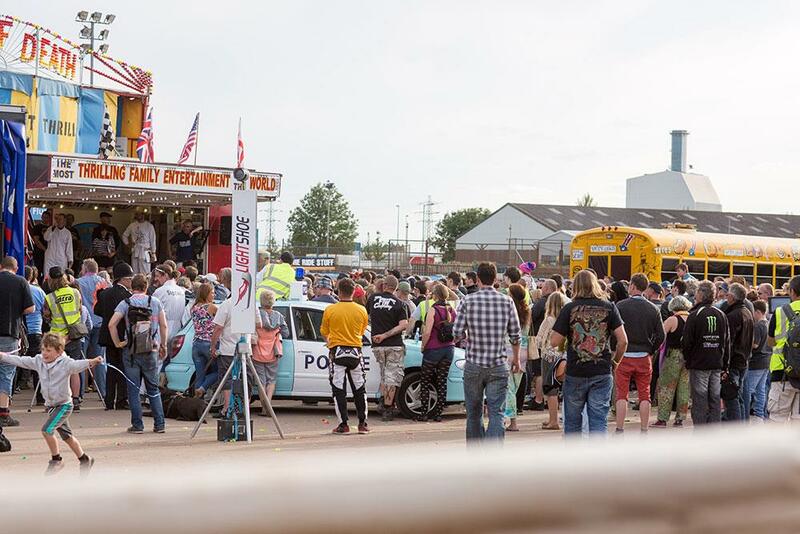 Former WSB champion and King of the Jungle, Carl Fogarty is also set to get involved in the mayhem too, a testament to the event's ever-growing popularity and its unique nature. Foggy joins the list of famous personalities who have competed, with Guy Martin having raced (and won) at the previous two Dirt Quakes. 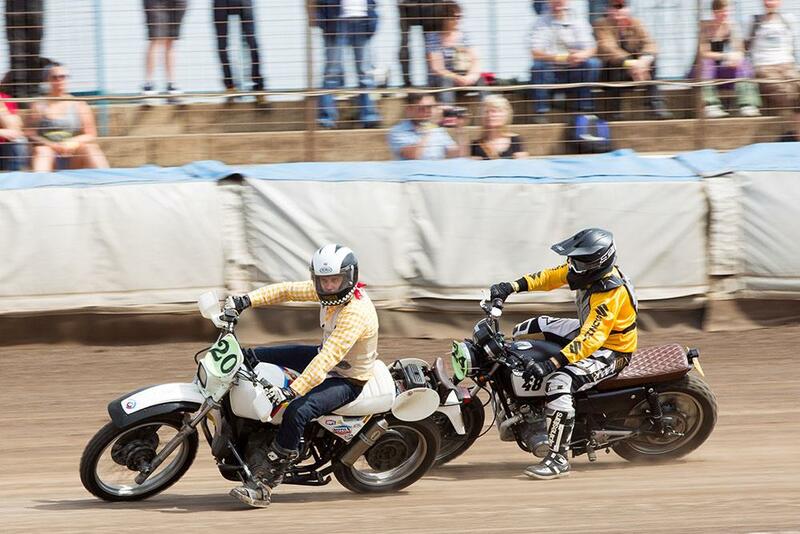 Friday evening will also see round four of the UK Flat Track national championship where Oli Brindley and Alan Birtwistle will be taking the fight to championship leader Aiden Collins, who holds a narrow lead of just 4 points. 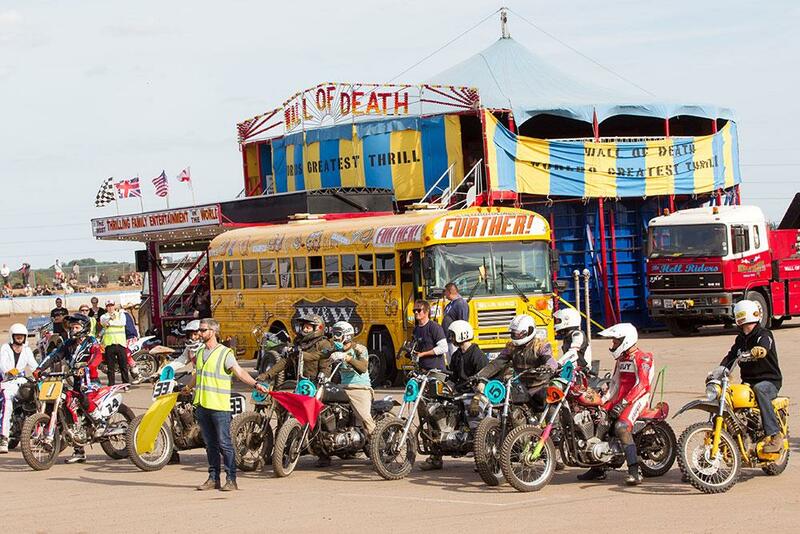 Ken Fox, famous for his Wall of Death shows and the man responsible for helping Guy Martin on his record breaking 79mph run earlier this year, will also be at the Adrian Flux arena to demonstrate his gravity-defying show. 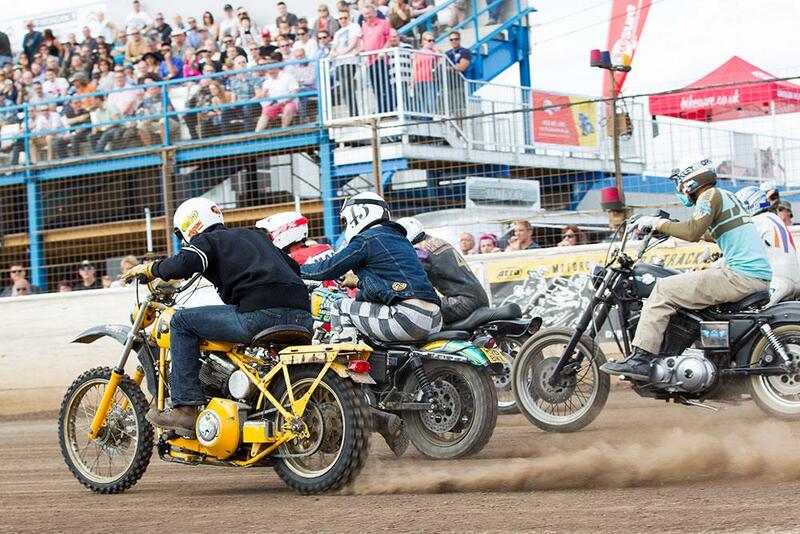 For more information and for tickets, check out the Dirt Quake website by clicking here.